Love Is Afoot! is a completely original, outlandishly funny, ‘out-of-the box’ musical romantic comedy feature film. It’s the classic boy meets girl, boy loses girl, boy finally gets girl… and her feet love story turned upside down. Think of it as Singin’ in the Rain meets The Farrelly Brothers. Set in the late 1940s and early 50s, the movie will have the look, feel and smell of the big MGM smash hits from that era with a big band style that harkens back to the golden age of Hollywood but still finds a way to fit in perfectly with contemporary musical film and theater. It re-imagines the classic Gene Kelly/Fred Astaire musical albeit with updated subject matter that brings relevance and an edge to today’s savvy audience. 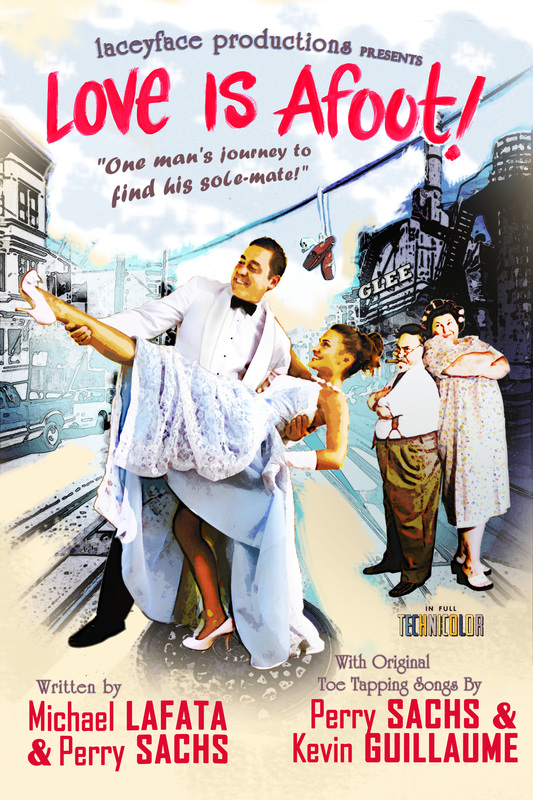 With Love Is Afoot!, our goal is to pay tribute to this classic style of musical during Hollywood’s Golden Age. Every great Musical needs great music and Love Is Afoot! delivers. In keeping with the stylistic intent of the film, the original music of Love Is Afoot! stays true to the era of the great Musicals of the 1940s and ‘50s: Big Band, Swing Beat and Hot Jazz. The Love Is Afoot! Soundtrack contains 12 original songs and 4 instrumentals. The songs and music were composed by the incredibly talented Perry Sachs with the magic of Kevin Guillaume, son of stage and television star Robert Guillaume and are being produced by, Mr. Tim Davis Tim Davis who was the Vocal Contractor/Arranger for the television show Glee through its entire 6 seasons. Tim, has worked with the likes of Seth McFarland, Bette Midler, Celine Dion, Sam Smith, Kristin Chenowith and countless others. The dance numbers are in excellent hands with the incredibly talented Ryan Kasprzak as the film’s Choreographer. Mr. Kasprzak was recently assistant choreographer for the hit TV series, Smash and he appeared and choreographed on Fox’s, So You Think You Can Dance (Season 5/6). He was associate resident choreographer and dance captain for the national tour of Billy Elliot. Ryan was dance captain on the international tour of Fosse and studied the style with Gwen Verdon, Ann Reinking, and Ben Vereen. We are casting. We already have the following teriffic actors already attached to Love Is Afoot! And some big ones around the corner… stay tuned. When the air stinks of romance you know that Love Is Afoot!